This drawing was done many years ago when I was at college. 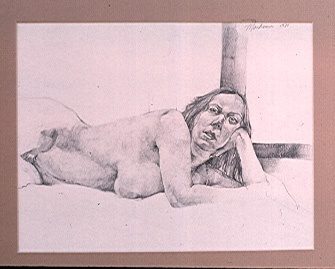 The model posed for two hours. The class was taught by RB Kitjai. I love her expression. She was rather bovine to me, and I think I captured that quality.